The Pacific Northwest, including the Portland area, is home to some of the biggest and most beautiful trees around! But unfortunately, the area is also prone to severe weather, including heavy winds, ice storms, and months and months of drizzly rain. The combination of extreme weather and large trees can lead to big problems. 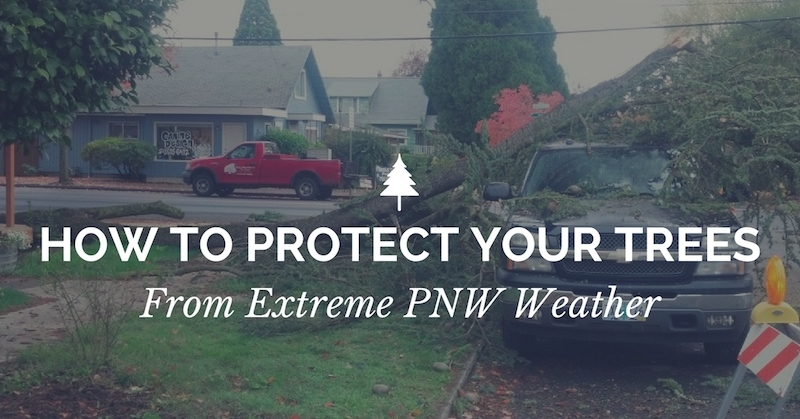 In today’s post, we’ll explain what you should do if a tree falls on your Portland home. If a tree falls on your home, your first priority is to protect yourself and your family. Remember that your house can be repaired and your property can be replaced. But the safety and health of your loved ones is priceless. So if a tree falls on your house, make sure everyone is safe. If anyone needs medical attention, don’t hesitate to call 911. If the tree brought down power lines as it fell, if you see fire or smell smoke, call the fire department right away! You’ll be glad you did. 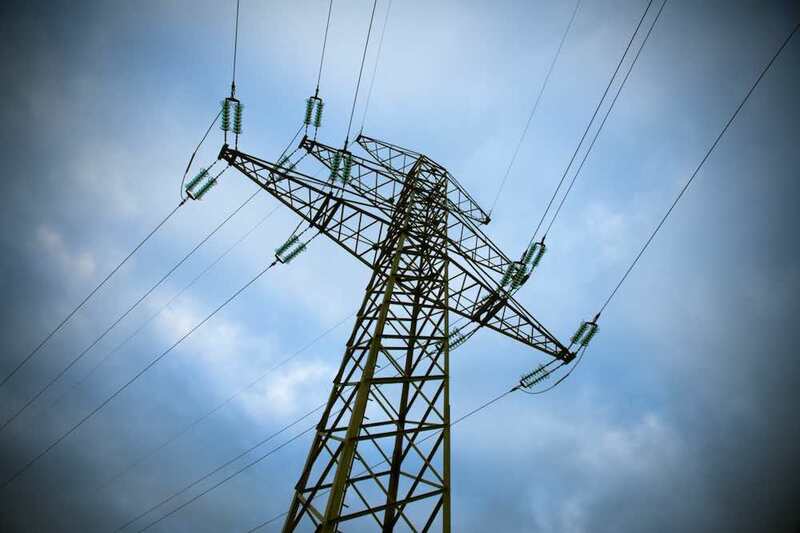 If there’s no immediate danger and you know how to; turn off the power and gas in your home. It’s a precautionary measure that could stop a fire from starting if the tree damaged a gas line as it fell. Many times, when a large tree falls, it damages power lines which can cause an outage in your area. You should call the power company to alert them of any damage to power lines or power outages caused by the downed tree. You can call and report downed power lines, power outages, and unsafe conditions. Once everyone is safe and the authorities have been notified, call your home insurance agent. They can help you decide what steps to take next and can help you understand what might or might not be covered by your homeowner’s policy. An insurance assessor will likely come out to your home to inspect the damage before processing your claim. In some cases, you may be able to email pictures of the damage to your insurance agent to speed up the process. 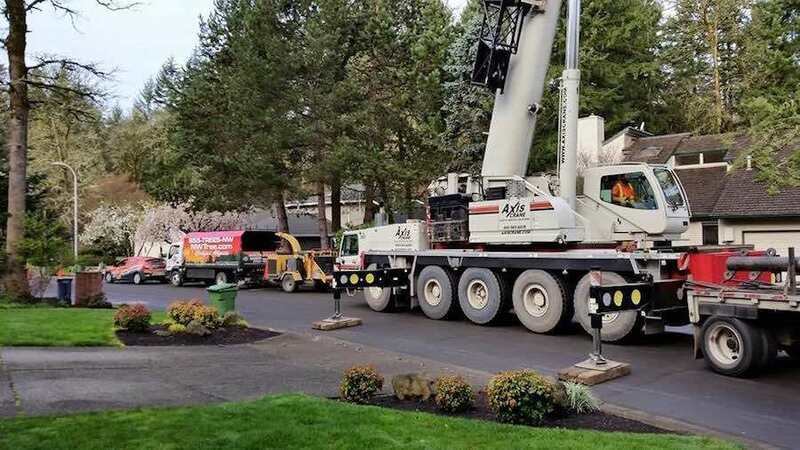 Next, you’ll need to have the tree removed by a trusted and experienced large tree removal company, like the team here at Northwest Arbor Culture. We’re happy to come out to your home and offer you a free, no-obligation estimate. We can remove large trees and can even grind up and haul away the stump that’s still in the ground. 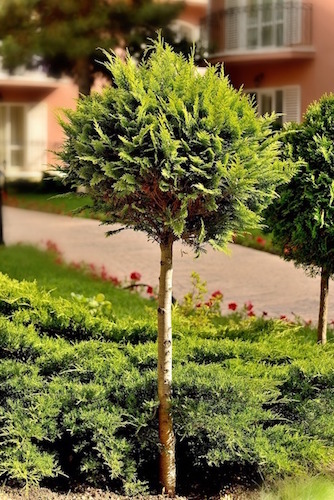 In most cases, you’ll also want to have other trees on your property inspected as well. The saying “lightning doesn’t strike twice” doesn’t apply to falling trees! Changing soil conditions, tree diseases, and other factors can cause multiple trees to be more likely to fall in your yard. You’ll also want to pay close attention to any trees that might be near your property line and that might fall on your neighbor’s home or yard. Do not try to remove the tree yourself. Fallen trees are dangerous– especially if they are leaning on your house. Trees can weigh THOUSANDS of pounds and the root ball can act as a counterweight, causing the trunk of the tree to spring back if it is cut free. For your safety, leave this job to an experienced, certified, licensed, and insured professional. After the tree has been removed, you’ll need to find a trusted local roofing contractor to inspect and repair your roof. 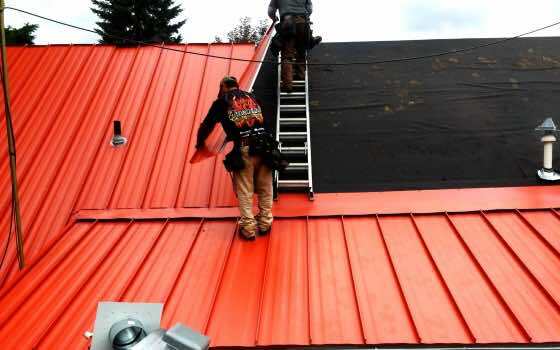 Depending on the extent of the damage, a partial roof replacement might be required– and might even be covered by your homeowner’s insurance policy. Even if there isn’t visible roof damage, your roof should still be inspected. There may be damage under the shingles that could lead to roof leaks later on down the road. Finally, you’ll want to have your home and foundation inspected– especially if you see cracks or splits in the foundation. When a tree falls, the extremely large root ball moves as well. 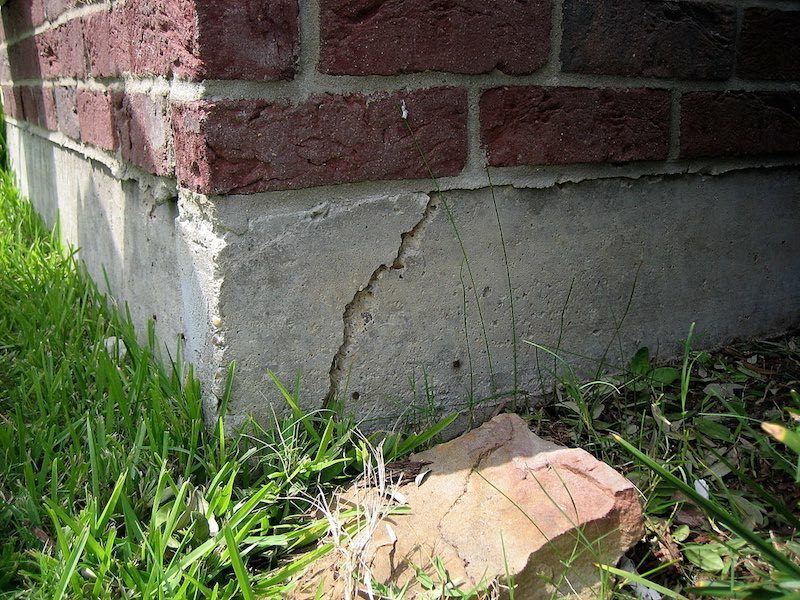 This movement can cause damage to the foundation that you might not notice right away. But over time, this can damage the structure of your house or allow moisture and leaks. A thorough home inspection can identify problems like these and can help you rest a little easier. 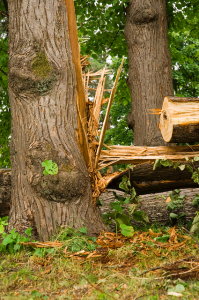 Generally speaking, when it comes to insurance, your policy pays for damage to your property, no matter whose tree it was. In other words, if a tree falls on your house, contact your insurance company. It’s likely that you will only be liable if you were negligent about the condition of the tree. You can protect yourself by having the trees on your property inspected, trimmed, and if necessary, removed. The best case scenario is that you get along well with your neighbors and can split the cost of removing the tree and repairing the fence! 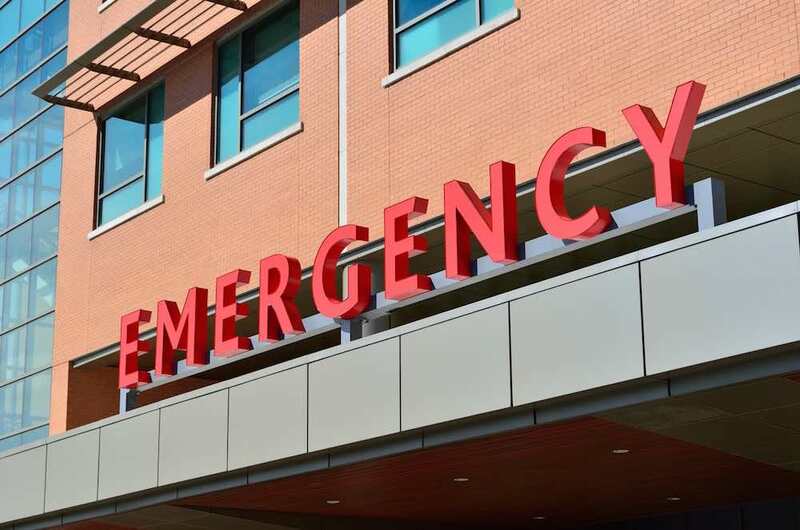 Both parties involved can contact their insurance companies and let them decide how to handle things. Dead trees are most at risk for falling. Disease, severe weather, and other factors can also increase the likelihood that a tree will fall. But only the assistance and trained eye of an experienced tree care professional can help you understand whether a tree is likely to come crashing down. If you’re thinking about buying a home in the Portland area, please take the time to have the trees inspected before you make the biggest purchase of your life! A pre-purchase tree inspection can save you thousands down the road– not to mention a lot of headaches. Do You Need Help With A Tree On Your Property? 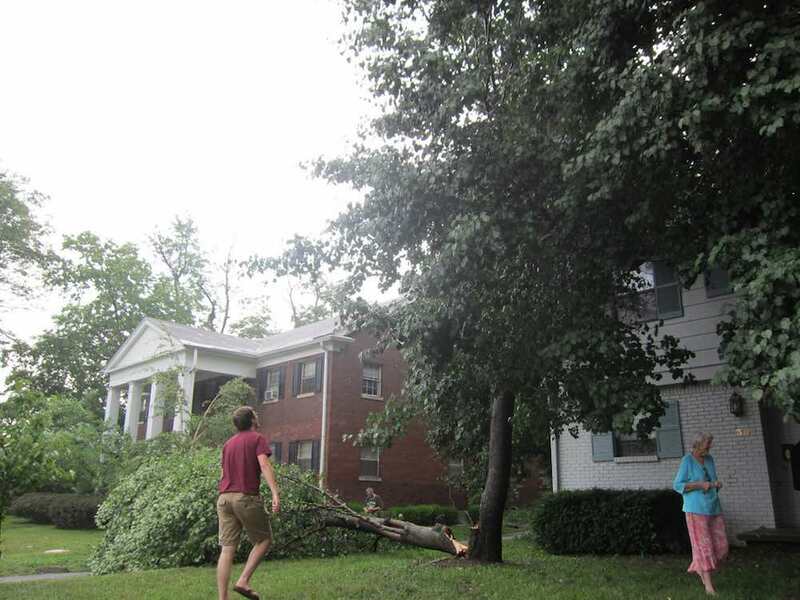 If you’re worried that a tree on your property might fall and damage your home, contact Northwest Arbor Culture today. We can inspect your trees and offer our expert advice based on decades of experience as Certified Arborists. 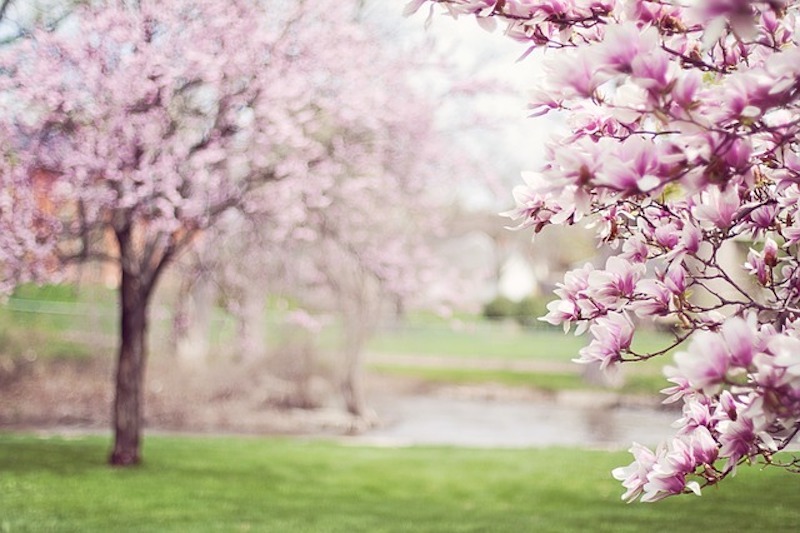 Trees provide shade, help freshen the air, and even add value to your property. We all want our trees to stay strong and healthy, but what should you do if you think one of your trees might be dead? Dead trees don’t just look unattractive, they can actually pose a safety risk. Dead trees are more fragile. They drop branches easily and may even fall completely if not taken care of properly. 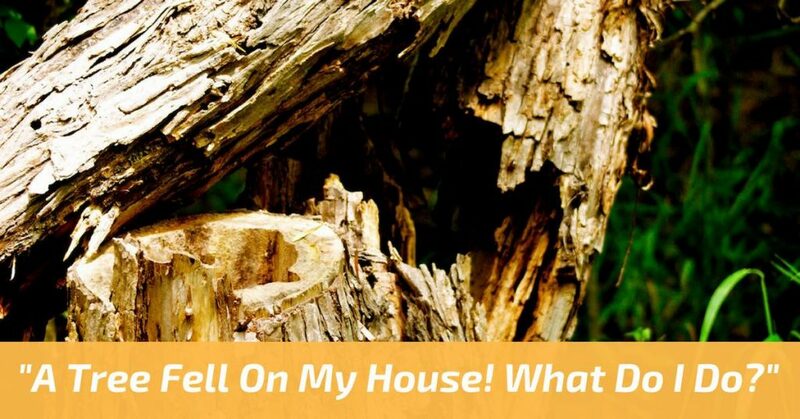 Today, I’ll show you how to tell if your tree is dead, and what you can do to keep your home, property, and family safe. What Causes Trees to Die? Trees live hundreds of years, right? Many of them can, but damage and diseases can unfortunately kill a tree prematurely. In an ideal world, you’d notice the warning signs early on. When a tree is dying, the cause of the problem usually starts underground with the roots and soil. Luckily, you can often see signs of tree death and disease above ground. Making sure your tree gets enough water is especially important when it’s young. Too little water can dry a tree out, while too much can drown it. How much water your tree needs depends on the type of tree you have and where you live. 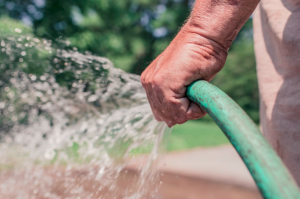 The Arbor Day Foundation has some helpful tips for how much to water your tree at each stage of its growth. Contact your local certified arborist if you have more questions about how to water your tree. Changes in the soil level around your tree can affect how much water and nutrients the tree can absorb. That’s because trees’ primary feeding roots are usually located in the top six inches of soil. Changing the soil grade by even just a few inches can create a problem. If you’re thinking of adding soil to your yard, be careful. Avoid adding too much near your tree if you can. Trees need their roots to absorb nutrients and even remain standing. Big trees have strong, sturdy roots, but even those roots can be damaged. If you have frequently driven over or parked on a tree’s roots, there’s a chance they were damaged. Not only can the weight of a car damage roots, but all that weight also compacts the soil beneath it, making it harder for the tree to get the water, oxygen, and other nutrients it needs from the soil. 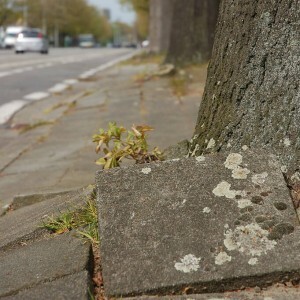 Pouring concrete, laying asphalt, or paving over tree roots can cause similar problems. If tree roots don’t have room to grow, or something is preventing them from feed from the soil, you may have a problem. Both can smother the tree and prevent proper root growth. 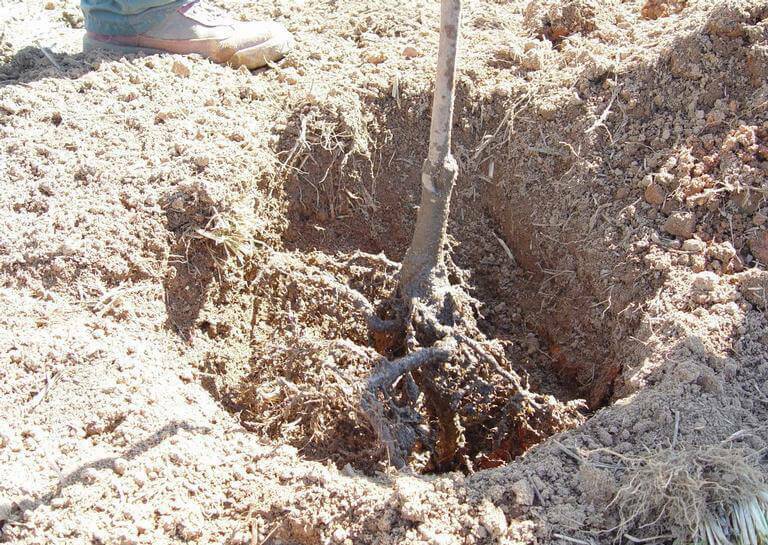 Tip: Any time you plant or transplant a tree, be careful of the root ball (the tangle of roots at the bottom of a young tree). If there is burlap or twine tied around the roots, remove it carefully. Then, gently loosen and separate the root ball just enough to help the roots spread out before you place the tree in the ground. What Does a Dead Tree Look Like? The warning signs will be slightly different depending on what type of tree you’re dealing with. Usually, though, you’ll be able to tell if there’s something wrong. A tree that is dying or dead often loses its leaves or needles very quickly and suddenly. Or it has no foliage whatsoever, even during a time of year when it should. Unexplained discoloration of the foliage is another common sign of stress or disease — usually one of the first ones you’ll notice. 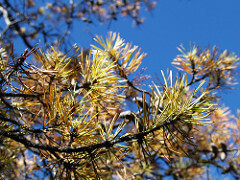 Brown, multi-colored needles are a common sign of sickness in conifer trees. Big cracks or splits in the structure of the tree can be a sign that the tree is dead, especially if other warning signs are also present or if the crack is in the trunk. 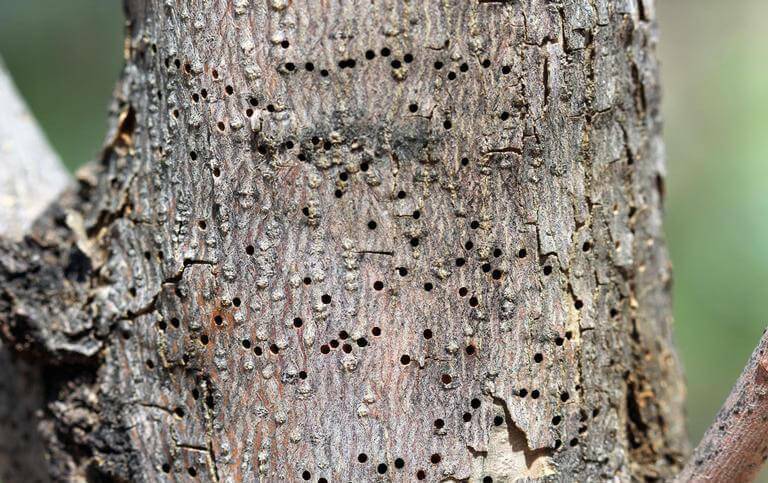 A strange or different bark texture can also spell trouble. Tree bark is often a good indicator of the tree’s overall health. If bark is missing, loose, dry, or brittle, be concerned. When branches lose their bark, it means those branches are most likely dead. Animals and fungi often start taking over dead trees too. Fungus usually only grows on decaying wood, so keep an eye out for mushrooms! A weak or spongy trunk can be a sign that a tree is rotting from the inside. If you notice this, call your local certified arborist right away. Rotting in the trunk is a sign that your tree may no longer be stable. You’ll want to get it taken care of before branches start falling, or worse, the whole tree comes down. What Can I Do if My Tree Is Dead? 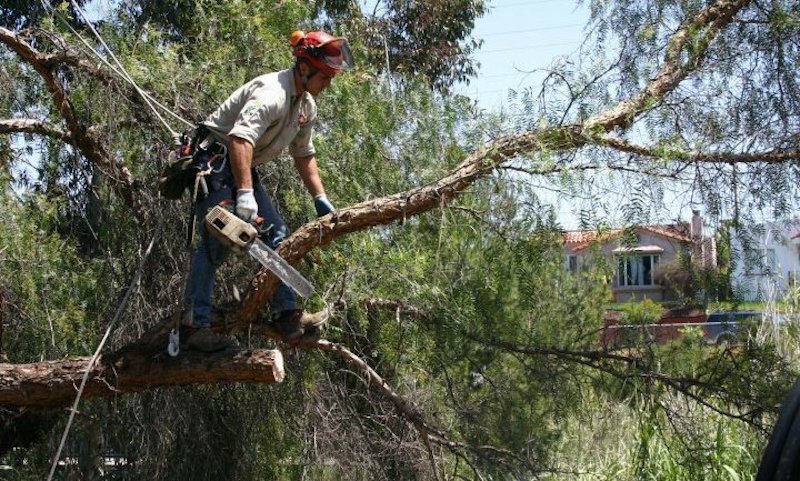 If your tree is dead, your best option is to have a professional come and remove it safely. If it’s a large or precariously positioned tree, you’ll want to do this as soon as possible. If your tree is simply old, sick, or just unstable, you may have other options besides tree removal, such as cabling and bracing. Depending on the cause and extent of the damage, you might be able to salvage your tree or at least increase its life. No matter what state your tree is in, an arborist, like us at Northwest Arbor Culture, can help you determine the best course of action for keeping your home safe and beautiful. If it turns out your tree needs to be removed, we can help. We’ll even get rid of the stump for you! With over 30 years of landscaping experience, we can also help you decide what to do with the empty space or help you reconfigure your entire yard if you like! If you’re worried about one of your trees, don’t wait until it’s too late. Give us a call today at (503) 433-8791! 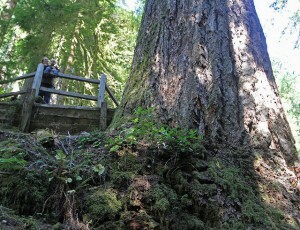 How Much Do You Know About Oregon’s Trees? Oregon is known for its abundance of trees, but do you know Oregon’s state tree? Who owns our forests? Which trees are native to Oregon? Get ready for some tree trivia as well as some important tree safety advice for winter! I’ll even give you some tips for planting trees that grow well in Oregon. Ever since Lewis and Clark reached the mouth of the Columbia River in 1805, people have poured into Oregon, drawn by its forests and natural beauty. And it’s still happening today. Believe it or not, Oregon is the most popular moving destination in the country. The influx of people over time meant more cities, highways, and infrastructure. 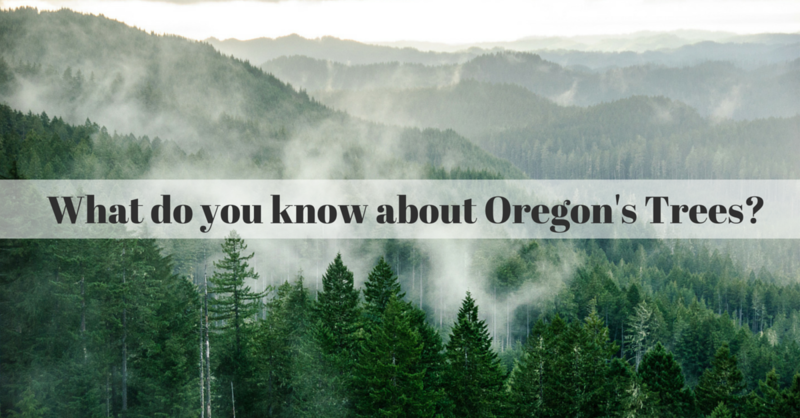 Oregon also developed a huge timber industry, which is still going strong today. Despite all that, Oregon still has almost 92% of the forests that covered the state in 1850. Not bad! That’s not a coincidence though. 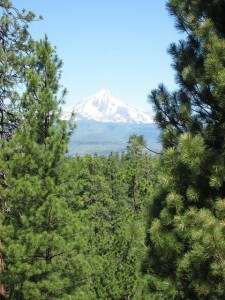 Private landowners cooperate with both federal and state governments to preserve Oregon forests. Among other strategies, that includes replanting, restrictions on clearcutting, and avoiding and managing occasional forest fires. Oregon has a few famous trees to its name. How much do you know about the state’s most quintessentially Oregonian celebrities? Our state tree is the Douglas fir, an evergreen tree with pine needles and cones. The tree is named after botanist-explorer, David Douglas, who described it as “one of the most striking and truly graceful objects in nature.” Now that’s a glowing review! There is some debate about which tree is truly Oregon’s largest. It used to be a 206-foot-tall Sitka Spruce along the coast near Seaside, Oregon. In December 2007, a wind storm snapped the 700-year-old tree in half. You can still visit the 17-foot diameter trunk, though. Here’s where the controversy starts. Officially, the largest tree is now a 329-foot-tall Douglas fir in Coos County (pictured below), but non-profit tree workers say they’ve found an even bigger Arcadia Cedar just outside of Cannon Beach. 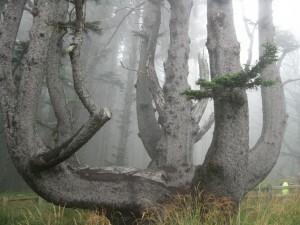 Without a doubt, one of Oregon’s weirdest-looking trees is a different giant Sitka spruce in Cape Meares, Oregon. Its nickname, the Octopus Tree, isn’t hard to figure out. The tree’s multiple trunks grow out of its base like giant tentacles. The tree has historical significance too. Experts believe it was once a gathering site for Native American tribes in Tillamook, and place of reverence where elders made decisions and shamans performed ceremonies. In general, trees make Oregon healthier and safer by purifying the air and casting shade from the sun. Trees don’t come without risks though. Western Oregon in particular often has heavy rains and strong winds (like the ones that ultimately knocked down the Sitka Spruce near Seaside). In years like this one, we also get extremely dry summers, which puts us at risk for forest fires. Keep your fire at a manageable size. Always have a large bucket of water nearby. Let the wood burn completely to ash. 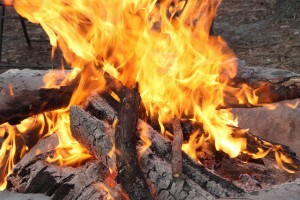 Dowse your campfire with water until the steaming and hissing stops. Cover all embers, not just the red ones. Stir to make sure everything is wet and cold to the touch. Let it sit for at least 10 minutes. Check again for any remaining hot spots. Dowse with more water if needed. Use dirt when there is no water available. Mix enough dirt into the embers until everything is cool but do not bury the fire. Try this next time you go camping to be extra safe. 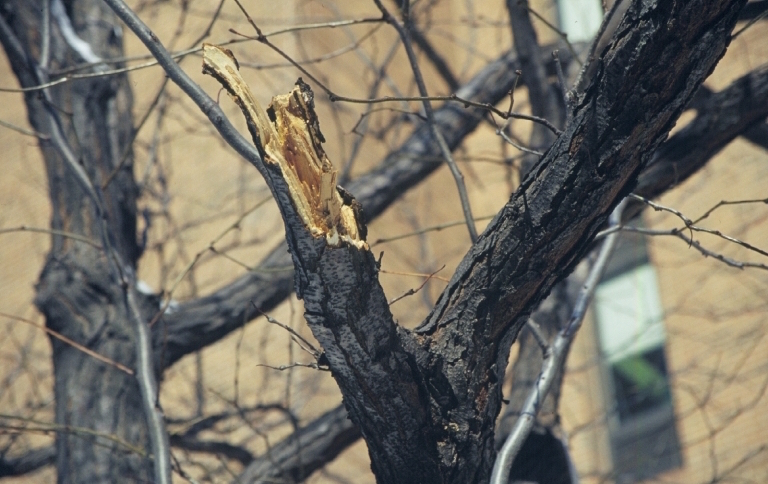 When wind, rain, and heavy snow hits, weaker trees are at risk of falling. Look for tree branches near your house or power lines, and get them pruned or trimmed. 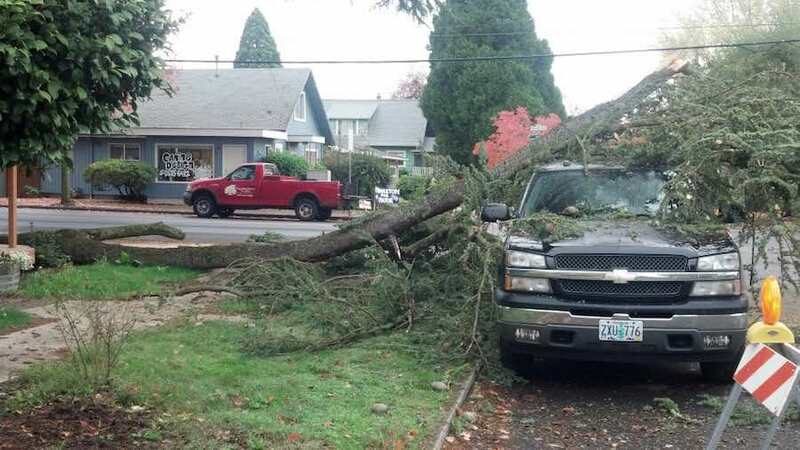 The number one thing you can do to make sure none of your trees fall on people or property is to get them inspected before harsh winter weather arrives. We’re always happy to swing by and give you some free expert advice about your trees. What Trees Grow Best in Oregon? Did you know fall is one of the best times to plant new trees? If you’re looking for a tree that will flourish in Oregon and won’t require an unnecessary amount of maintenance, planting a tree that’s native to Oregon is a good bet. Many dogwoods, maples, and evergreens are perfectly suited to the Pacific Northwestern climate. Still have questions about Oregon’s forests, which trees to plant, or how to keep your property safe this winter? Call us anytime at 503-538-8733 for free, no-pressure advice. Trees have a ton of benefits: clean air, beauty, fruit, and shade, to name a few. But did you know they can also prevent flooding? It’s true! “The typical medium-sized tree can intercept as much as 2,380 gallons of rainfall per year,” the USDA says. Even trees’ leaves help prevent flooding. When raindrops bounce off them, the water doesn’t hit the ground as hard. “Gentler rain causes less erosion,” explains the Why Files. We need paper. It’s just a fact. Life would be pretty sad without books, envelopes, dollars, coffee filters, board games, or photographs. But clear-cutting forests, aka deforestation, makes flooding worse. 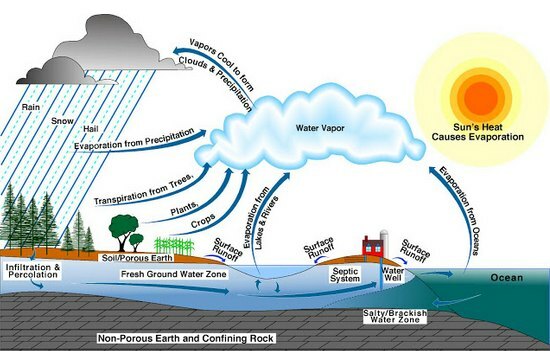 The Why Files explains again: “In terms of flooding, the unimpeded raindrop impact on bare ground leads to heavy erosion and quick runoff.” Without trees to soak up water, lessen rain’s impact, and hold soil in place, rain runs faster off land. Clear-cutting trees has another side effect. Since the soil isn’t anchored in place by tree roots, it gets carried downstream by heavy rainfall. And the dirt and mud washes into rivers and streams, which means riverbeds get clogged and can carry less water. That makes flooding worse. [Farmers] noticed during rainstorms their newly planted woodland seemed capable of absorbing vast quantities of water while grazed land let rain pour down hillsides. So they invited the scientists to study the land. Trees don’t just prevent flooding in the forest or countryside. Trees play a big role in lessening damage from flooding in cities as well. Think about it: Concrete doesn’t do much to stop or soak up rain. Water runs across the top of pavement, not into it. Trees and soil, on the other hand, can act as a sponge. Rainwater which lands on trees either evaporates to the air or drips down to the ground below, where it can soak into the soil. Surface water from nearby areas can also flow into the permeable area around the trees, which further increases the amount of water that can soak away and reduces demand on stormwater drains. In fact, in a 2013 research study, scientists found that trees soaked up twice as much rain as asphalt, reducing runoff by about 60%. 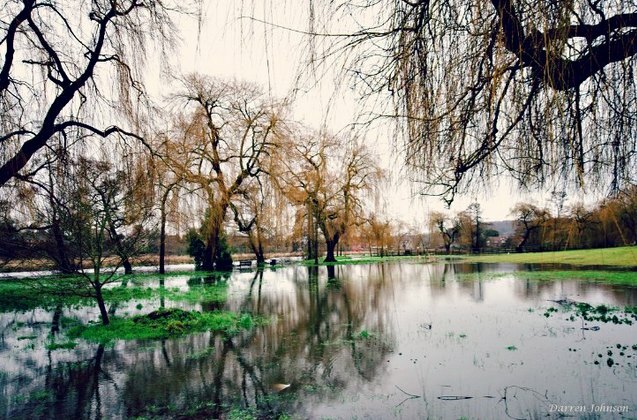 What Types of Trees Prevent Flooding? So does just any tree help prevent flooding, or are certain ones better than others? I’m glad you asked. Depending on the tree’s location, you may want to plant different types. 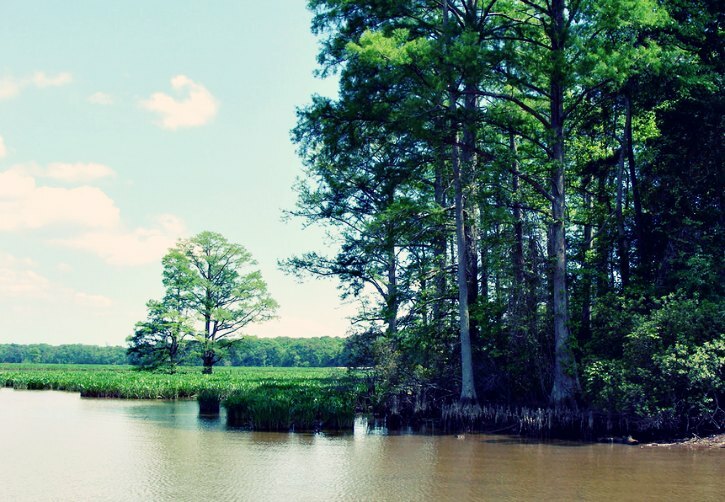 For instance, bald cypress or water tupelo trees have a high tolerance for water, so you can plant them at the bottom of a basin. (Houston is doing just that.) Other types of trees are more sensitive to being in standing water for long periods of time. Such conditions can kill the roots and eventually the entire tree. 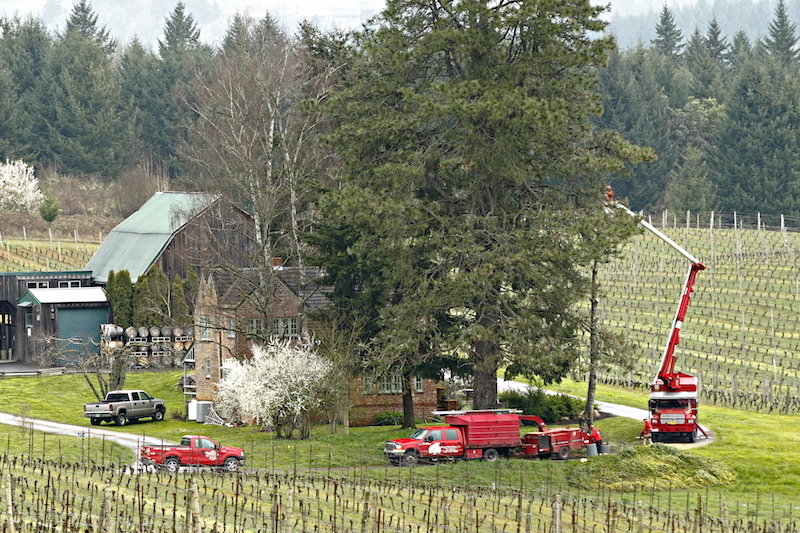 Here in the Pacific Northwest, planting broad-leaf evergreen trees is wise. Deciduous trees — those that lose their leaves in the winter — do less to intercept rainfall, since their leaves are gone. The benefits of trees don’t stop at slowing water flow. Trees also clean the water and improve its quality. When trees soak up water through their roots, they can keep toxins and pollutants from going into drinking water by releasing them as a gas through their leaves. 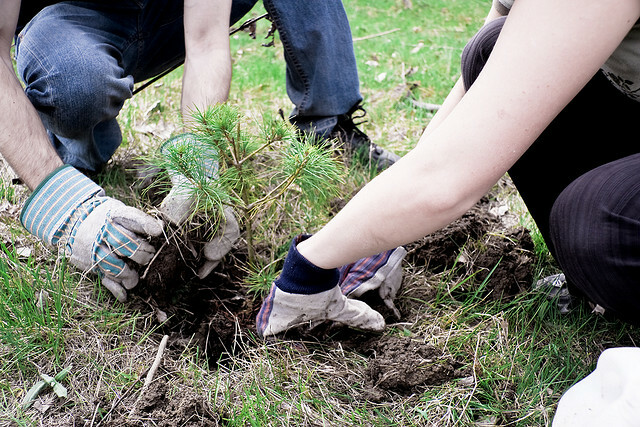 Planting trees gives you a ton of benefits, from cleaner air and water to less flooding. Contact us at Northwest Arbor-Culture, Inc. if you want to talk with a certified arborist about getting some trees planted! 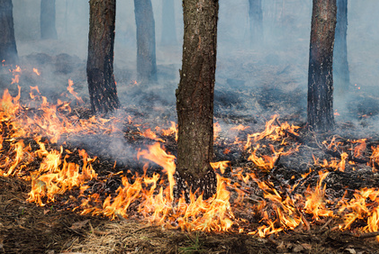 Every year, with more drought and rising temperatures, we are experiencing more wildfires. Wildfire can spread unexpectedly to tens of thousands of acres in a matter of hours, leaving homeowners with little time to prepare their property for the oncoming disaster. Yet there are several simple steps that you can take to prepare your home and property to withstand raging wildfires. Careful planning and yearly maintenance could mean the difference between a singed yard and a completely destroyed home and property. This post will teach you how to create a fire resistant landscape around your home to help protect your property from wildfires. According to the USFA, “Dead trees and shrubs surrounding your home act as fuel for fire.” Creating a buffer or safe zone around your home free of flammable vegetation can help stop a fire from burning close to your house. Removing dead trees, shrubs, excess leaves, and grass clippings within at least 30 feet of your home will greatly reduce fuel for a fire. Prune away branches that are very close to your home, as well as, any low hanging branches that can easily ignite in a brush fire. Incorporating a firebreaks is also another great way to create defensible space. A ‘fire break’ is a landscape feature that can stop the advancement of a fire. Common fire breaks can be; stone walls, gravel paths, swimming pools, driveways, and even well maintained lawns. 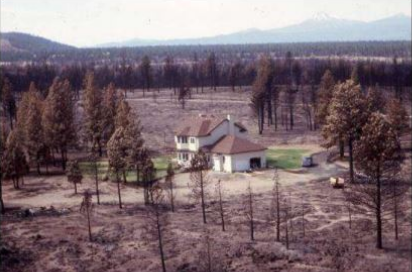 Every home in an area prone to wildfire should create a defensible space plan for the property. No plant is fire-proof, but some plants that have higher moisture levels and low sap content are much less likely to ignite during a fire. Hardwood trees like cherry, maple, and poplar are much less flammable than conifers like pine and fir. Planting turf grasses, shrubs and ground cover within a 30-foot area around your home can help stop fire from burning close to your home. 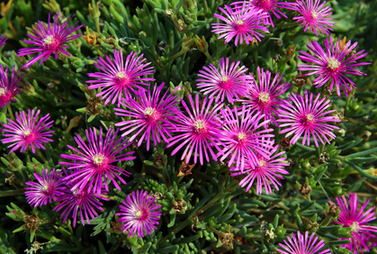 OSU Extension Services recommends planting shrubs that are “low-growing with minimal dead material.” Other landscape plants that readily resist ignition are rockrose, iceplant (pictured right), and aloe. Read this article from the OSU Extension Service on Landscaping With Fire-Resistant Plants for a more complete list of fire-resistant landscaping and how to properly plan a fire-resistant landscape. Creating a defensible space and planting fire-resistant plants are both very important aspects of protecting your home from wildfire. But without consistent maintenance, much of your hard work and planning might still not be enough to stop a raging wildfire. Make sure to consistently prune and water your landscape. Keeping your plants healthy and green, even during the dry season, will lower their chances of burning. 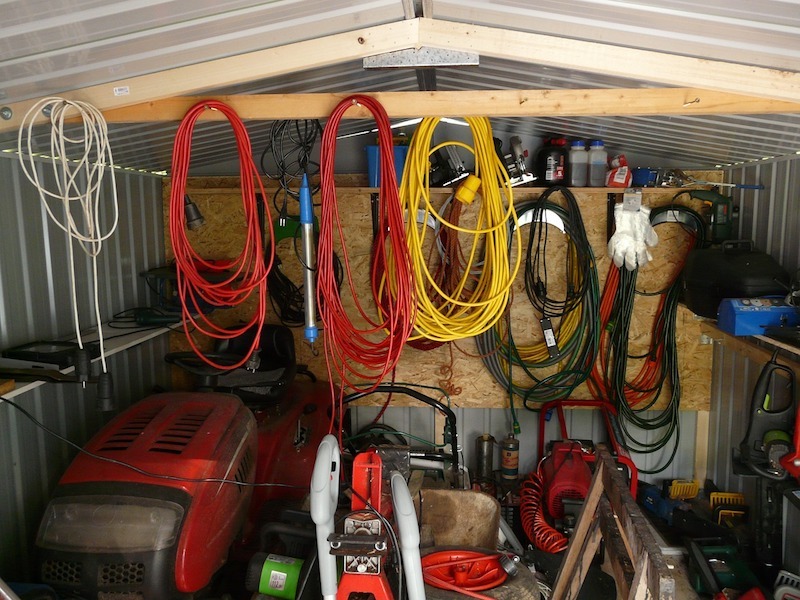 Also, keeping flammable materials like gasoline and firewood stored in metal containers or sheds at least 30 feet from your home can remove much of the potential fuel for a fire. Creating and carrying out a fire plan for you home and landscape is incredibly important. With planning and maintenance, you can save yourself immense heartache and expensive restoration by avoid the dangers of wildfire. Hiring an ISA Certified Arborist® and master gardener to help you plan and install your landscaping will help ensure that you use the latest techniques and receive expert advice when making your fire plan. The professionals at Northwest Arbor Culture, Inc. can help you protect your home from fire while creating a beautiful landscape for you to live in. Contact us today for all of your tree and landscaping needs. Have you prepared your home for the threat of wildfires? Tell us how you are protecting your home in the comments section.